A Changing Climate Means A Changing Society. The Island Press Urban Resilience Project, Supported By The Kresge Foundation And The JPB Foundation, Is Committed To A Greener, Fairer Future For All.​ This Post Was Originally Published On Sacbee.com. 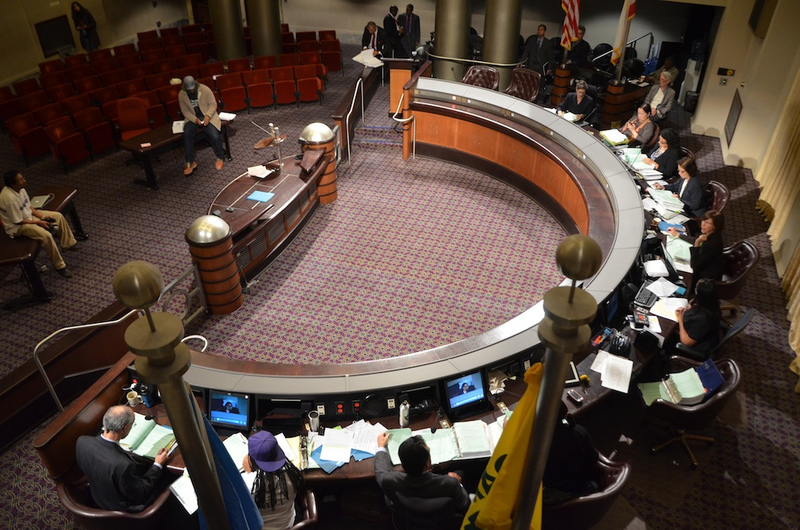 Two weeks ago, the Oakland City Council unanimously voted to ban the handling and storage of coal in the city, quashing a proposal to build what could have been the largest coal export facility in California. It was a remarkable display of leadership and foresight: Council members put the health and safety of their residents above the arguments of coal proponents and developers eager to profit from its export. Council members saw through the argument that we must choose between good jobs and a healthy environment, an argument often used in poor, minority communities. “It is outrageous to me that when we start talking about jobs for African Americans, for low-wage workers, they’re the dirtiest jobs, the most risky jobs, the jobs that we have to pay for with our bodies and shortened lives,” said council President Lynette Gibson McElhaney. Other council members spoke of the already high levels of asthma and heart disease in the disadvantaged West Oakland neighborhood that would have suffered the most ill effects of coal dust from the export terminal. But they did not base their decision solely on local health impacts. Critically, they acknowledged the impact of coal exports on global climate change. Whether it is burned in the U.S. or China, coal is the largest global source of carbon emissions. Climate change is causing heat deaths, asthma and heart disease from increased air pollution; displacement from flooding and sea level rise; rising food prices and food insecurity; water shortages; and conflict. The Oakland City Council dicussing Item 20, the Domain Awareness Center Phase II. Photo Courtesy of Daniel Arauz via Flickr. Emissions from the 9 million tons of coal a year that would have shipped from Oakland would have surpassed emissions from all five Bay Area oil refineries and constituted 0.6 percent of the world’s “carbon budget” – the amount of carbon pollution that can be released without causing catastrophic warming. As Oakland has demonstrated, it’s time to take responsibility for the climate impacts of U.S. fossil-fuel exports. According to the federal Energy Information Administration, our nation exported 74 million short tons of coal in all of 2015, plus 4.75 million barrels of petroleum products daily. A “not in my backyard” mentality has allowed us to persist in thinking that we do not have culpability for what happens when coal and oil exports are burned in China or Vietnam. But the reality of climate change is that regardless of where greenhouse gas emissions occur, the impacts are felt in our backyard. Others must now follow Oakland’s lead. Every time local and state policymakers decide whether to allow the extraction, processing, transport or shipment of fossil fuels for use abroad, they must consider the climate change implications, both abroad and at home. Some communities will need help transitioning away from fossil fuel extraction and processing. But that is not a reason to forgo responsible decision-making to protect our health from the devastating risks of climate change. Keanan McGonigle is a second-year medical student at Tulane University. He is the President of Tulane University's Health Policy Action Group. He graduated from the University of Virginia in 2014 with a bachelor's degree in human biology. McGonigle also completed his master's of public policy at the University of Virginia in 2015.